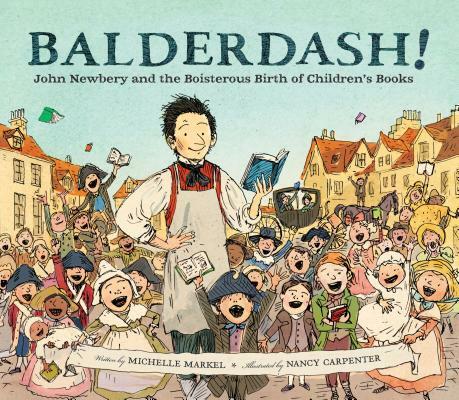 This rollicking and fascinating picture book biography chronicles the life of the first pioneer of children's books—John Newbery himself. While most children's books in the 18th century contained lessons and rules, John Newbery imagined them overflowing with entertaining stories, science, and games. He believed that every book should be made for the reader's enjoyment. Newbery—for whom the prestigious Newbery Medal is named—became a celebrated author and publisher, changing the world of children's books forever. This book about his life and legacy is as full of energy and delight as any young reader could wish. Michelle Markel writes informative, enjoyable children's books at her home in Los Angeles. Nancy Carpenter has illustrated over 30 books for children. She lives in Brooklyn, New York, with her family.